What benefits does a mobile-friendly website provide? How to get your website in front of new customers through search engines. Can customers find what they are looking for? Is your content useful and engaging? How are customers interacting with your website? Can it be made more user friendly? How can you keep your site fresh with new content throughout the year, and why will doing this benefit your business? Start Generating More Leads For Your Business! 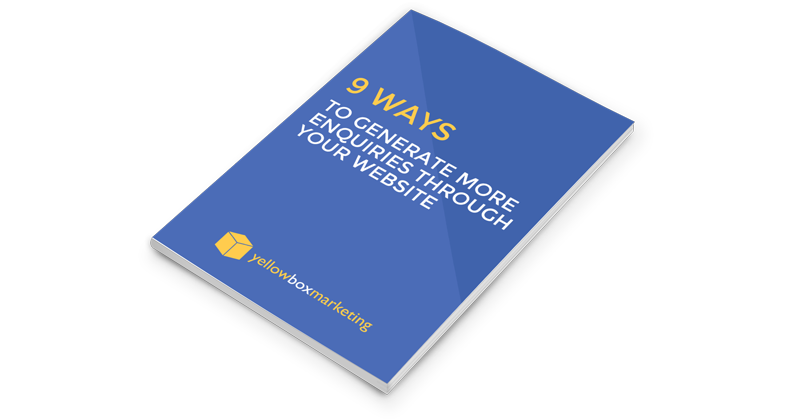 Having a website that isn’t generating the amount of enquiries that it should be is an expensive commodity to have, in our ebook we are giving 9 elements that every good lead generating website should have. Use these elements to improve your existing website, or to find out what you should include in your new one. From great images, to search functionality and clear calls-to-action, you should prioritise these 9 elements on your website to improve how users interact with your site and ultimately lead them to contact your business.